Earlier this morning, John Cynn outlasted Tony Miles to win a marathon final table that stretched into the wee hours of the Las Vegas morning. The heads-up battle between the two men tested everybody's resolve, as it took over 10 hours to complete. Those who were hoping for a short night were in for a nasty surprise as the two men both refused to back down. Heading into the final table, Cynn had roughly 1/3rd the chips that Nicolas Manion had in his stack. Cynn was able to find the right spots, however, and eventually ended up taking down the tournament. As you can see, both Miles and Cynn were 7/1 to win. 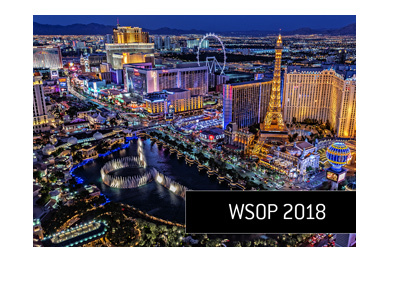 A single hand can dramatically alter the trajectory of the tournament, which makes betting on the World Series of Poker final table quite compelling. Short stacks usually have a hard time getting anything going, while the bigger stacks are usually overvalued. There is always quite value in the middle-sized stacks, as this year proved once again.